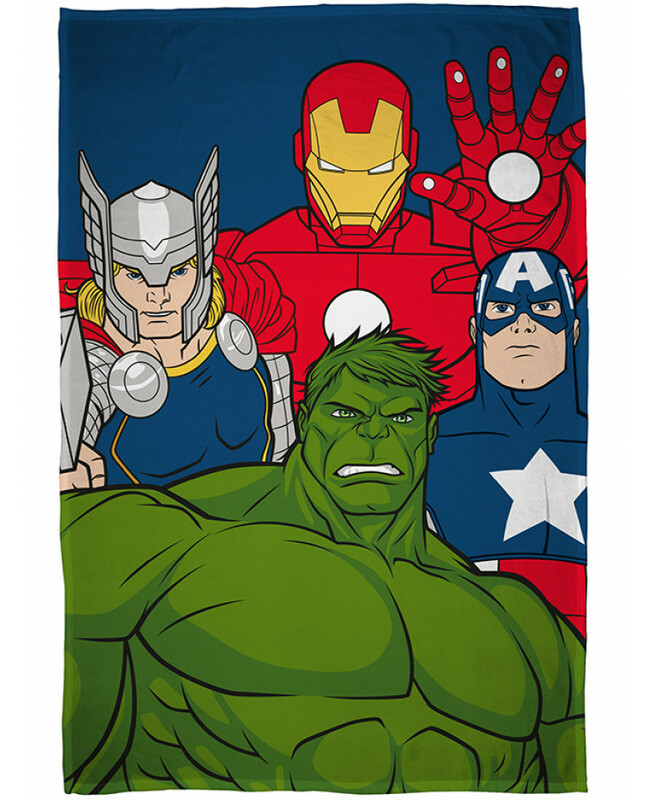 Includes Avengers themed single duvet cover, curtains and fleece blanket - All for one great low price! 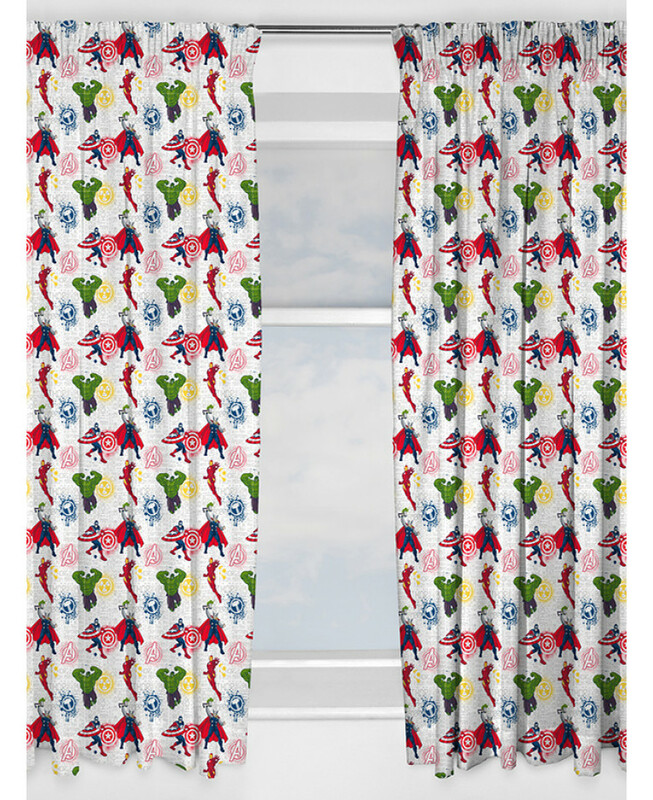 Reversible - 2 designs in 1! Treat your little superhero to this wonderful Avengers Bedroom Gift Set. 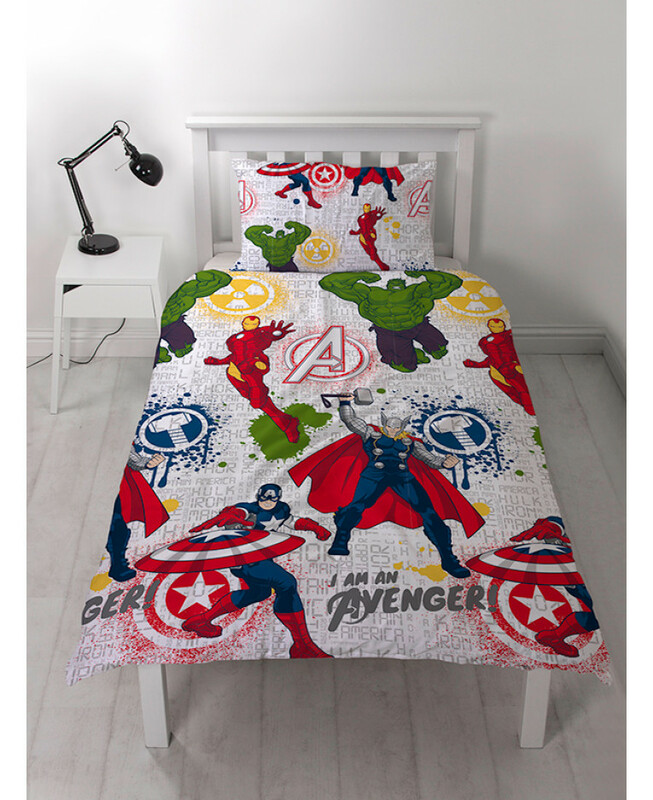 The set includes a matching reversible single duvet cover, curtains and fleece blanket featuring all your favourite Avengers superheroes The Hulk, Iron Man, Captain America and Thor. 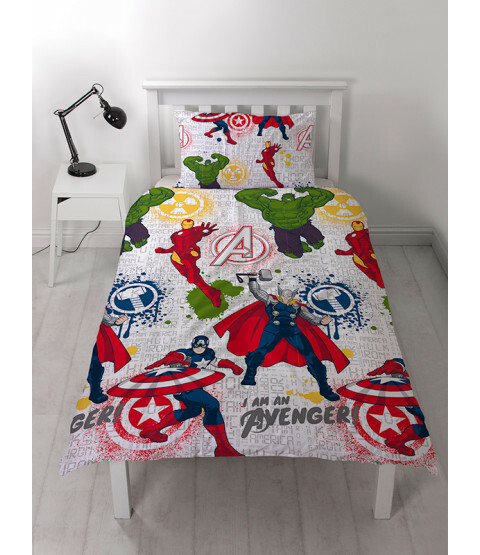 All items are official merchandise and are the perfect set for giving a bedroom an Avengers theme.